The Samsung Galaxy S3. is a pretty impressive smartphone. 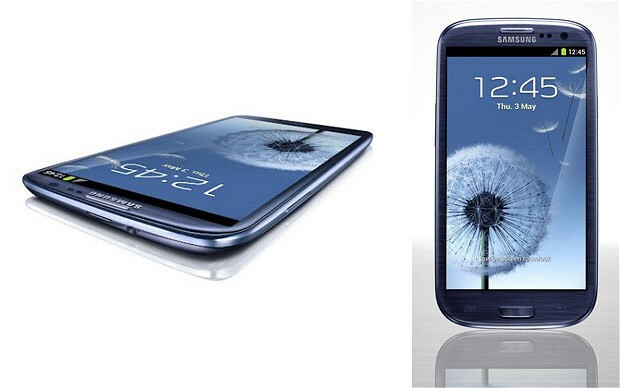 Galaxy S3 is powered by Exynos 4212, a quad-core processor running at 1.4GHz, running on Android 4.0.4 (ICS). With that comes 1GB RAM, a 4.8” Super Amoled HD display screen with a resolution of 720 x 1280 px (306ppi). It will come in 16/32/64 GB models with extensible microSD card slot. The 136.6 x 70.6 x 8.55 mm frame, which only weights a remarkable 133 grams, also comes with an 8 MP camera with a mighty bright flash and a front facing 1.9 MP one. Galaxy S3 incorporates a host of new features on the software side. There are things like Direct Call – which makes a call automatically for current selected contact, by just placing the phone to your ears, zoom into faces of a group photo and have their slideshow and S-Voice, an artificial intelligence service similar to iPhone’s Siri. Samsung has put in a battery of 2,100mAh (with an optional wireless charging feature) into the S3. This is the first official ad for Galaxy S3. It touches the emotions, the family and your loved ones. Samsung Galaxy SIII, designed for humans.